OLD PARKED CARS. 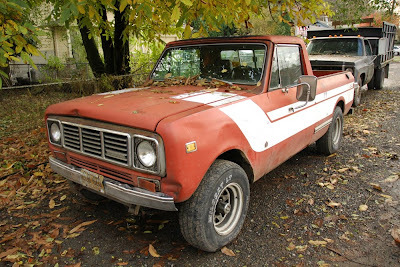 : Road Not Improved, #2 of 2: 1976 International Harvester Scout Terra. 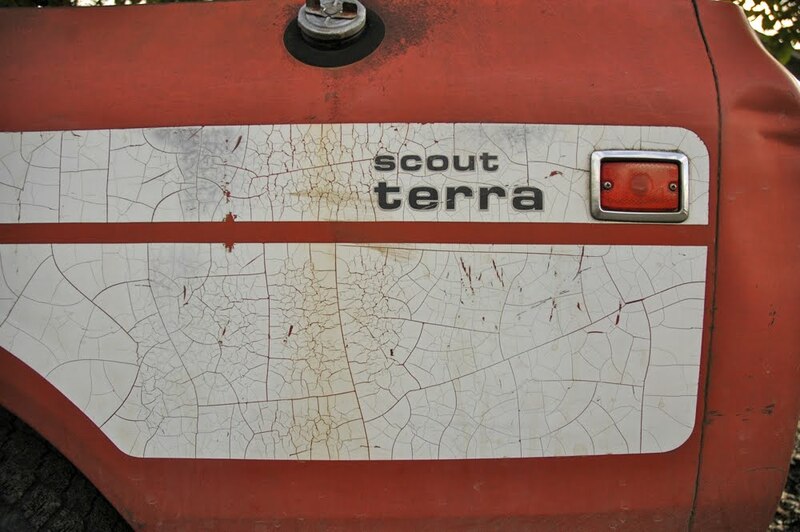 Road Not Improved, #2 of 2: 1976 International Harvester Scout Terra. perfect size wheels for the perfect stance. potholed road, no prob. Those graphics, along with the CJ-Jeep esquire steelies scream Malaise-era SUV/truck. The 70's were the golden age of the 4WD, nothing malaise about it. 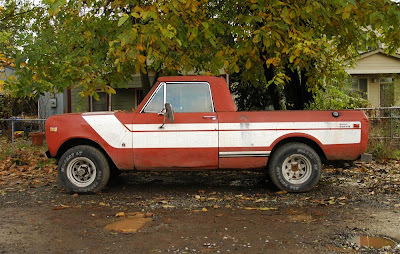 You can't buy a real pickup or SUV anymore, Chevy stopped making them in 1972, Ford in 1979, International in 1980, Dodge made it all the way to the 90's. Wagon wheels don't belong to the Jeep. That would be like saying CJ-Jeep esquire SBC. Her name is Princess. 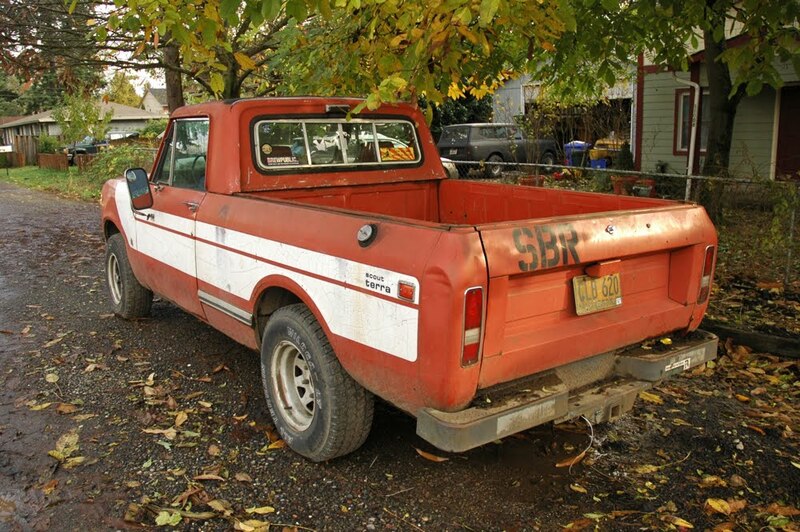 She has a lot of life left in her and will probably haul pieces of 2012 "pickups" to the scrap yard before her days are through. her name is NOT princess!